(PanArmenian)–This week’s referendum for independence in Montenegro demonstrated the international community’s willingness to accept people’s right to self-determination–setting an important precedent for Mountainous Karabagh Republic (MKR)–said a statement released by its Foreign Affairs Ministry. The Foreign Affairs Ministry–which regards the referendum as a positive development–said: "We are convinced that respect of peoples’ right to self-determination is a cornerstone of conflict settlement and tool to establish political stability." 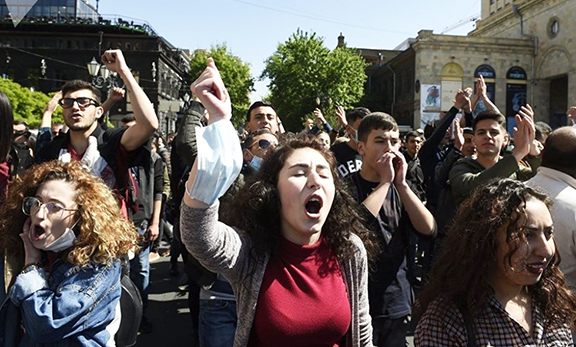 The statement went on to note that the people of MKR were denied their right to self-determination after voting in a December 10–1991 referendum for independence–instead being subjected to military aggression by Azerbaijan. "Further neglect of MKR people’s right to self-determination? will postpone the prospect of finding a mutually acceptable solution and establishment of lasting peace in the region," continued the statement. The President of MKR–Arkady Ghoukassian–also commented on the referendum in Montenegro saying that it sets a very important precedent for his country. "If the international community is ready to recognize Montenegro’s and Kosovo’s independence–then I think it will be very difficult for them to explain–why they do not recognize MKR’s," Ghoukassian said. Ghoukassian added that Karabagh has more legal and geographic grounds for expecting recognition of independence. "The people of Nagorno Karabagh have survived the war imposed by Azerbaijan and have statehood now. I believe we have all grounds for expecting international recognition of independence," he said. The President said he is certain the international community will recognize Karabagh sooner or later. "The sooner it does it–the better the chances for peace to be sustained in the region," said Ghoukassian.